If the Walkmen were a basketball player, they’d be Tyson Chandler: Charming, erudite, handsome, and smooth, but not flashy or self-aggrandizing. Like Chandler, they bring a fundamental intensity to just about everything they do. Chandler has his muscular low-post moves, and the Walkmen have drummer Matt Barrick, who never overwhelms the songs he plays on but who hits harder than just about anyone else in indie rock. And like Chandler, the Walkmen had to keep working for a long time before it started to dawn on people that they were as good as they are. 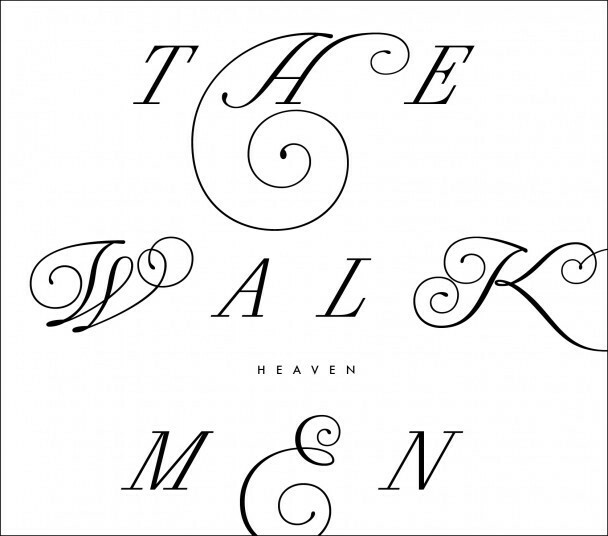 So here’s hoping that Heaven, the Walkmen’s seventh album and quite possibly the best, works as the Walkmen’s equivalent to the 2011 NBA Finals — the moment where the world at large realizes that the Walkmen aren’t just strong and dependable, but that they’re one of the best indie bands we’ve got. To date, the general-consensus best Walkmen song, and the one that the band still uses to close out shows, is “The Rat,” the vengeful guitar-cyclone from 2004’s Bows + Arrows. And whenever the Walkmen get ready to release another album, I see people talking about how they wish the band would return to that stormy sound. But over the past eight years, they’ve gone in the other direction, getting progressively slower and tenderer with every album. 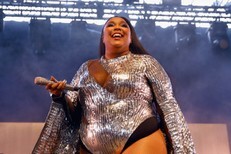 Their best songs in the years since — “In The New Year,” “Angela Surf City” — have built themselves on similarly desperate thoughts, but they’ve done it with craft and panache, not volume. Heaven pushes them even further in that direction; its best moments are its quietest. “We Can’t Be Beat” has the Fleet Foxes’ Robin Pecknold doing gentle Everly Brothers-style harmonies in the background (though the non-singing members of the band did just fine with those backing vocals when I saw them last week). “No One Ever Sleeps” is the band’s take on starry-eyed doo-wop. And “Line By Line,” well on its way to replacing “The Rat” as my favorite Walkmen song, relies on nothing but impressionistic guitar-picking, a few strings at the end, and a Hamilton Leithauser vocal that’s utterly confident in its own plaintiveness. It’s simply a beautiful song. As always, the Walkmen are a band who commit deep thought to questions about how far they should place their mics from their amps, and Heaven sounds like a million bucks. It’s deeply satisfying to hear a band whose members are this good at what they do. Even in its less-memorable midtempo moments, Heaven remains an expertly realized piece of work. Leithauser, who still carries himself like a Winklevoss twin onstage, is a casually brilliant vocalist, his tenor carrying grit and feeling even as it effortlessly reaches for big notes. The band’s guitars spin webs without ever going for attention-grabbing effects-pedal whooshes. Organs are more prominent here than they’ve been on recent albums, and they fade into the overall atmosphere of the songs just as easily. Songs end exactly when they should and never stretch to indulgent lengths. None of the sounds on the album scream to be noticed, and all of them gel together beautifully. This is music for back porches and humid summer evenings and glasses of whiskey with ice. It’s grown-up music. As the band was coming onstage in Charlottesville, Virginia last week, Leithauser said, “We’re playing nothing but the hits tonight.” Then the band played a set almost entirely comprised of songs from Heaven, songs that almost nobody in the audience had heard before. That was a pretty snarky move, but fate might bear that quote out. All the songs on Heaven deserve to be hits, at least within this indie realm. Maybe they will be. Heaven is out 5/29 on Fat Possum.